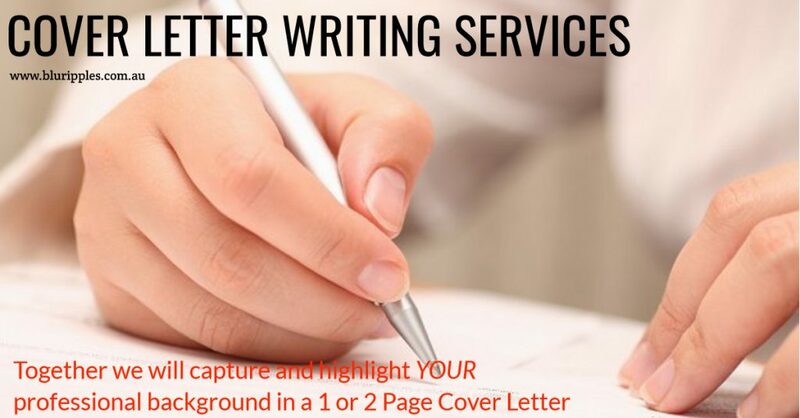 Blu Ripples Cover Letter Writing Services professionally captures your skills, knowledge, interest, experiences and achievements in a customised employment cover letter that professionally introduces you to prospective employers or recruiters whilst simultaneously engaging the reader and prompting follow through action. Our founder, Katherine Foster who has successfully authored thousands of professional employment cover letters for clients across a broad sector of professions within the public and private sectors since 2003.
to create your bespoke employment cover letter in accordance with your individual requirements. Blu Ripples has provided professional employment Cover Letter Writing Services to high school students, youth, graduates, mums and dads, adults, professionals returning to work after a period of leave, expatriates, trades professionals, supervisors, managers and executive management.